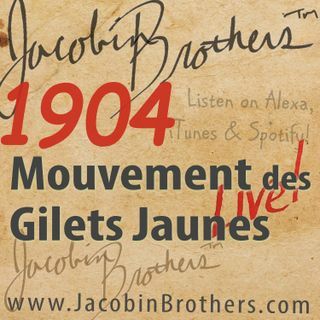 JBL1904 / Mouvement Des Gilets Jaunes | Jacobin Brothers™ Live! France's Mouvement des Gilets Jaunes (Yellow Vest Movement) has been described as left wing, right wing, ultra right, all three, and none of the above. Let's get to bottom of it.